Busy as beavers this holiday weekend so once again we are mobile blogging as we couldn't leave you without at least a glimpse of the latest fashionable lady to join the royal ranks as a princess! 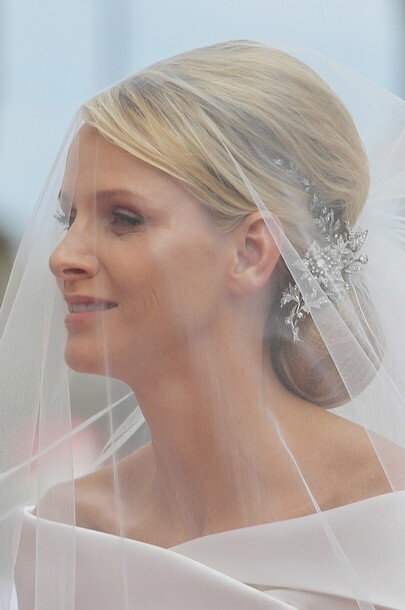 ﻿Charlene Wittstock, former South African Olympic swimmer, married HSH Prince Albert of Monaco today. The statuesque blonde donned a Giorgio Armani gown encrusted with pearls and Swarovski crystals. 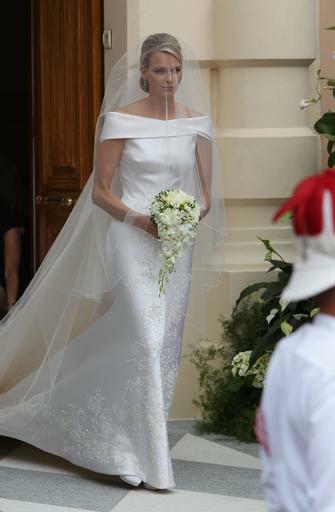 The new princess has become quite a regular on the European best dressed lists and much to our dismay, is often awkwardly compared to her late mother-in-law Princess Grace of Monaco in terms of style and charm (as huge fans of Grace Kelly and her timeless iconic style, 'apples and oranges' is the only thing we can say about that. Nonetheless it must be absolutely horrible to have yourself compared to someone of iconic status, let alone a beautiful dead mother-in-law!). 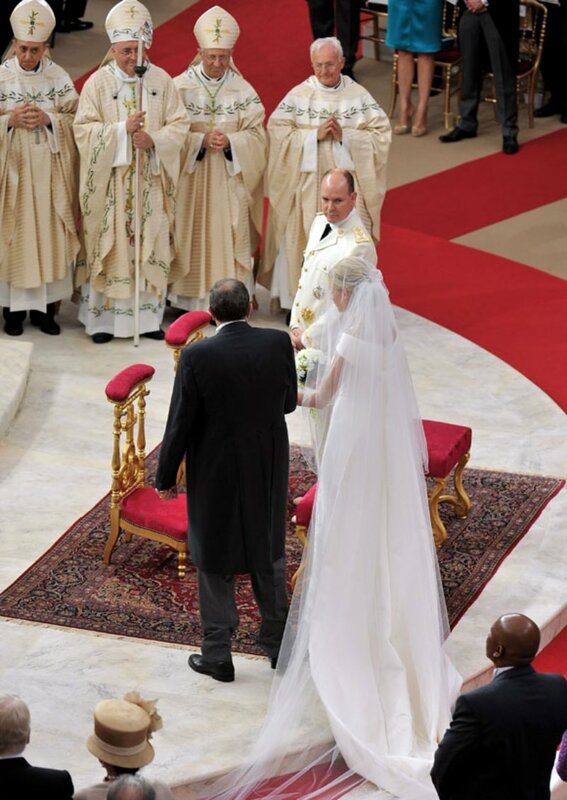 The royal couple were married in a civil ceremony yesterday with the bride donning a one of a kind creation from Karl Lagerfeld, a soft blue embellished jacket covering a strapless lace trimmed bustier and chiffon pleated palazzo pants. She is stunning and the dress is beautiful. The blue outfit is gorgeous. She's stunning! Can't wait to see more from her! 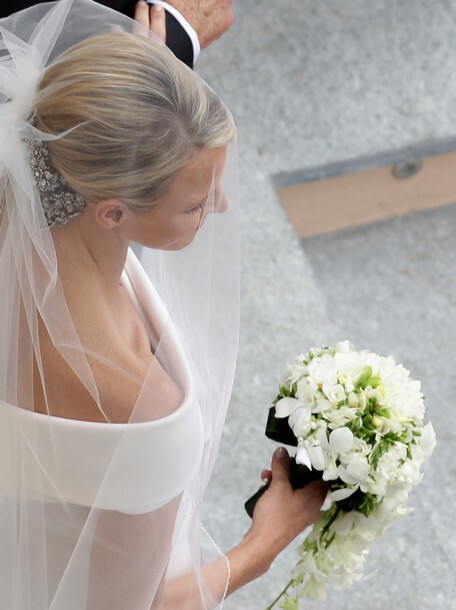 I loved how she looked at Will and Kate's wedding, too, so lovely and understated! Her wedding hair bling is amazing and that blue ensemble could single handedly bring palazzo's back to a new craze! She is stunning! Love the pictures. I was pretty shocked at the side by side photoshop job of Princess Diana and Princess Catherine and don't think that it is fair to compare. 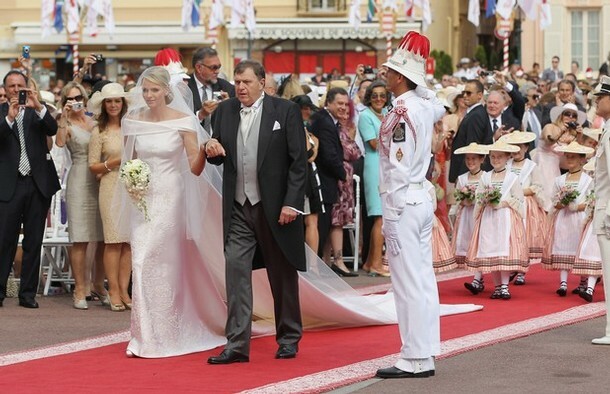 Compare her to Princess Catherine. Does she look happy?